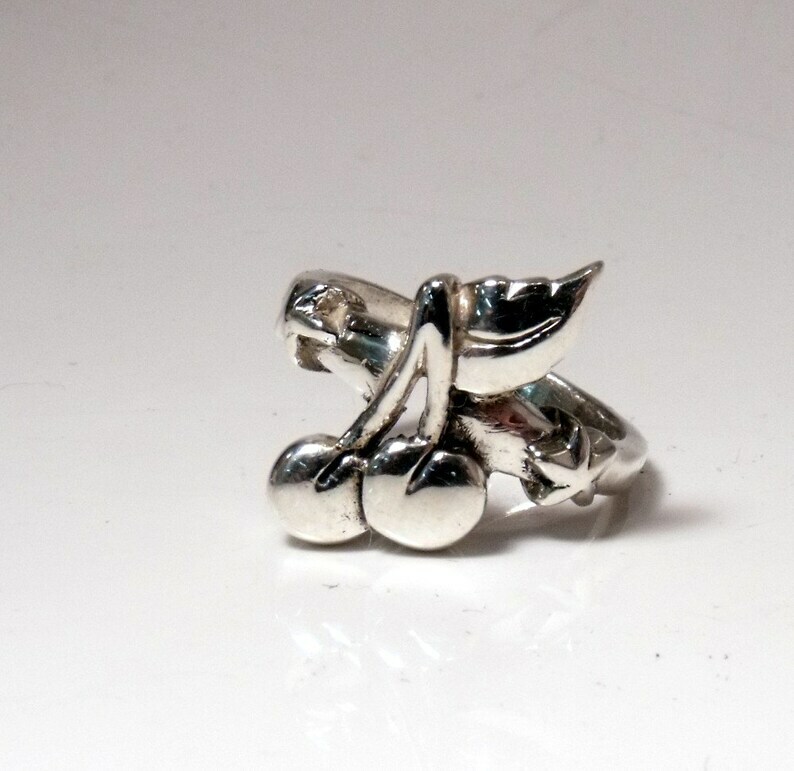 This cute little cherry ring is in Sterling Silver. It measures 5/8 inch wide (16mm). I will make this in the size you wish.